What was that, Mom? You wanted me to go IN my crate? 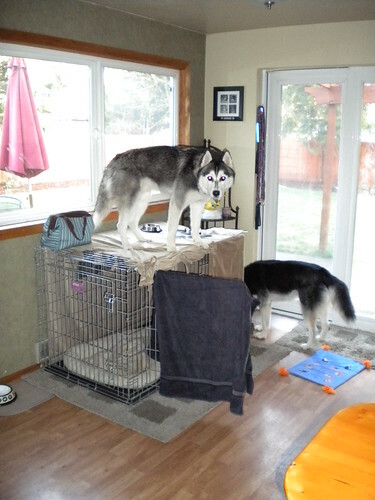 Oh, I thought you said to get ON my crate. Honest. That's what I thought you said. PS. If you don't want me to get on my crate, please do not put Wilbur's dishes on it, even if it's just for a second. Stay tuned for pictures of the new and improved crate!